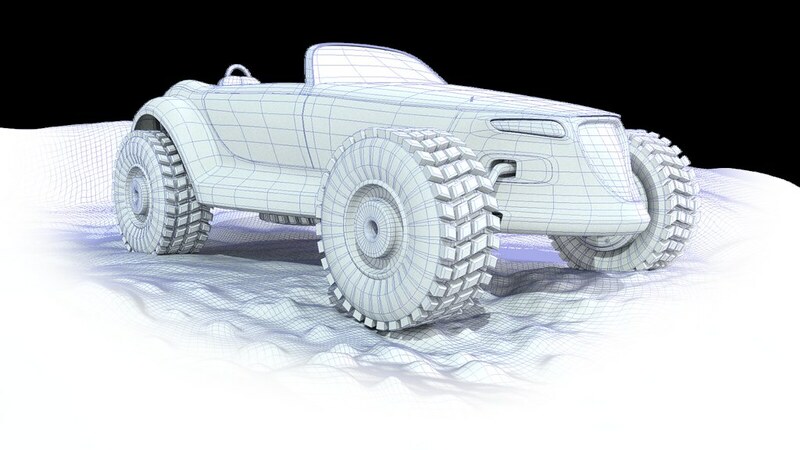 This was a project built using Maya and the linear workflow. The goal was to create an offroad mod for a consumer car. After settling on the prowler for its unique and elegant design, I wanted to create some juxtaposition by giving it a very dirty look in Substance Painter. 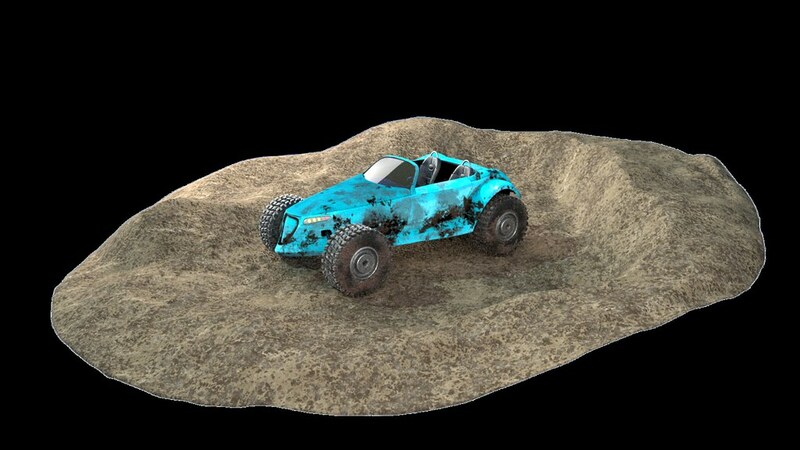 Finally, I sculpted a muddy and rocky terrain in Z-brush to further push this idea. After creating a high poly sculpt from clean low poly geometry, I was able to easily texture the mesh in substance painter with clean UV's. Using the linear workflow, I imported the textures from substance painter into Vray materials and prepared my render settings to be in the right colour/gamma space (both for render-viewport and export).